Following the failed revolutions of 1848, many Germans emigrated to the United States to escape turmoil. They incorporated aspects of German culture into their lives in the United States. 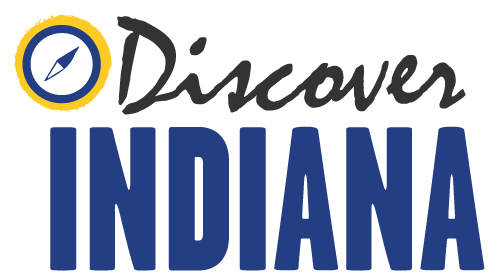 By 1860, 20% of Indianapolis residents came from a German-speaking region in Europe. 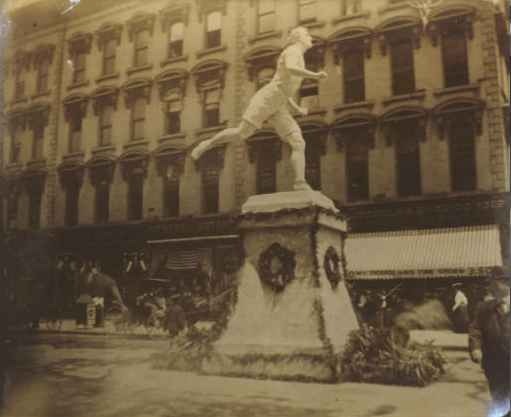 Germans contributed greatly to the economy and culture of Indiana. The building before you, built in 1898, remains the best preserved example of German architecture in Indianapolis. Named Das Deutsche Haus (The German House) it was designed in the Renaissance Revival style popular in Germany at the time. Both of the architects, Vonnegut and Bohn, trained in Germany and came from German immigrant families themselves. Clearly, the Athenaeum was built to stand out. 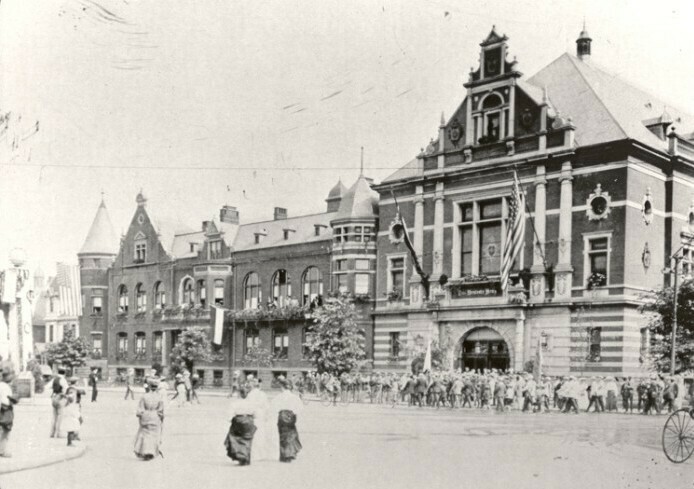 It projected an impressive image of German culture to the city, and created a space where German immigrants could cultivate their heritage, and share its richness with their community. The Athenaeum was also home to the Social Turnverein. 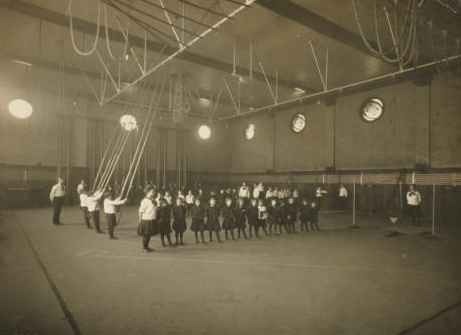 A turnverein, translated roughly as a gymnastics club, was more than just about sports: it promoted “a sound mind in a sound body.” The Turnvereins boasted an active male gymnastics squad and offered classes for women and children. There was also a pool and bowling alleys for member use. 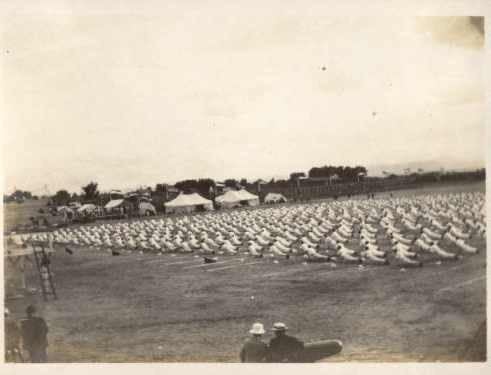 During the year, the clubs held exhibitions, where all of the classes artfully demonstrated exercises. 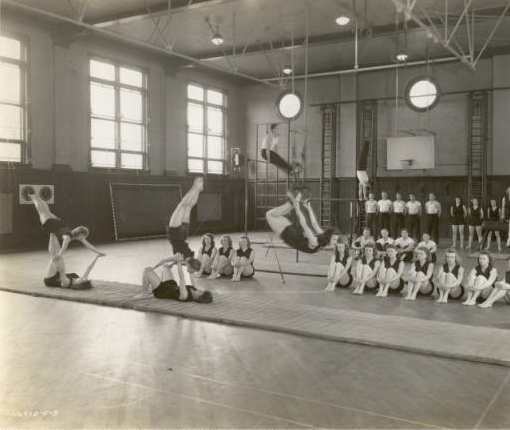 After an overture by an accompanying orchestra, audiences witnessed gymnasts springing over the pommel horse, exercising with barbells, dancing, and more. Lectures and debates, often about politics and improving working conditions for laborers, were also held in the building. 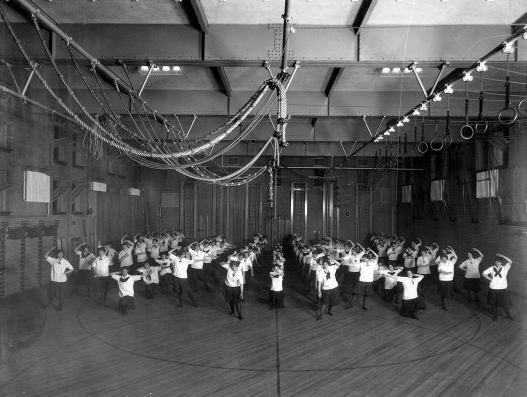 In 1907, a Normal College, set up by the Turners’ national governing body, took up permanent residence in the Athenaeum to provide professional training to physical education instructors. It became affiliated with Indiana University in 1941 and led a push to include physical education in the city’s public schools. The site’s athletic focus has continued throughout the years and it now houses the Athenaeum YMCA, one of three YMCAs in downtown Indianapolis. During WWI, American hysteria against Germans became the norm and, in a backlash against German culture, teaching the German language in schools became illegal. During this period, the Das Deutsche Haus was renamed the Athenaeum. However, in recent years, the site’s German heritage has been renewed. Currently, the building also houses the Athenaeum Foundation, a nonprofit committed to preserving the site’s German American heritage and the “sound mind in a sound body” ideology through programming. It is also home to a popular German restaurant and beer garden, The Rathskeller. Elena Rippel , “The Athenaeum,” Discover Indiana, accessed April 25, 2019, https://publichistory.iupui.edu/items/show/46. George Theodore Probst. The Germans in Indianapolis 1840-1918. Indianapolis: German-American Center, 1989. Published on Feb 25, 2014. Last updated on Apr 2, 2019.